engaged in events that never happened. But, yet, it is true." designed to depict a masculine aspect, or essence, of nature. depict a feminine aspect, or essence, of nature. classic tales of The Iliad and The Odyssey. The abstract concepts depicted by Archetypes are limitless. hieroglyphs which come down to us from ancient Egypt. with a specific event or abstract concept. The ancient thought process was Archetypal and metaphorical. evaluated events, ideas, and concepts by way of Archetypal thinking. So, how does this process of Archetypal thinking actually work? and brought into physical reality. myth, story, or legend can be created. our ancient ancestors from the most ancient of Times. Archetype for all women who later assume the role of mother. or not there are currently any heroes to assume that role. This fact is True for ALL Archetypes. in and out of the role of 'king" are continuously replaced. having the body of a man and the head of a hawk. having the body of a man. RULERSHIP by way of the hawk. hawk who was destined, and responsible, for RULING on earth. 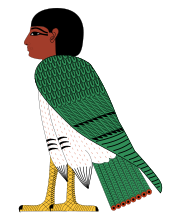 the Archetype Horus and were therefore recognized as HORUS. MOTHERHOOD. MOTHERHOOD is a feminine aspect of Nature. ears. HATHOR can also be portrayed simply as a cow. cast into stone at the most remote beginnings of historical Time. See Also: Article about "The Egyptian Neter"
but their meanings can be inconsistent from one person to another. ancient, mysterious and enigmatic concept of Spirit vs. Soul. both born from THE ALL and is an integral part of THE ALL. ideas are specific aspects of THE ALL. which can be summed up as: "I am a specific aspect of THE ALL. contained within each one of us. It cannot be any other way. could not be THE ALL. "I have said, you are gods, and children of the Most High". could be divided then it would not be THE ALL. and the Atman ( Our God Within ) of India. how we will behave during our current physical Incarnation. Our Soul is equivalent to the Ba of ancient Egypt. Spirit, in turn, is an indivisible aspect of The All. depict the physical incarnation of that specific person. also through the mind that we receive ideas and premonitions. many of the spiritual messages that are continually coming to us. us from the Great Unconscious Source. everything that it manifests. This One Source is called THE ALL. personality, is what the ancient Egyptians referred to as AKH. the Soul ( BA ) aspect of our Spirit is also in a state of suspension. duration of our worldly Incarnation. is our Soul ( BA ), which is an indivisible aspect of our Spirit. refer to as our Atman: Our God Within. Smith, in his entirety, we will call Spirit. again, simply John Smith (Spirit ). John Smith becomes, once again, simply John Smith (Spirit ). Smith chooses to activate of himself. Spirit, Matter, Our Physical Body, and Vibration. conception within the womb, Spirit becomes bound within matter. our being as we Travel through this Incarnation of ours. Matter: All matter consists of atoms; and atoms vibrate. at 7.83 cycles per second. 2 to 100 cycles per second. very low frequency; a very low rate of vibration. idea of how rapidly light vibrates in relation to matter. makes the frequency of light seem as if it is standing still. WOW! through to the center of the granite, the drill bit will shatter! is trapped or confined within their material body. individuals must indeed be a painful and traumatic experience. of the people we meet and the Events we must contend with. which our physical body travels upon. body and the planet which we occupy. to the lower vibrations generated within the realm of matter? dual and it is constantly presenting us with a barrage of "either-or"
or are we surrendering ourselves to the lower vibrations? of this incarnation of ours. which occur within the vibrational range of our physical senses. experiences, do not exist; for they do exist. infinite is ours to experience and enjoy. Spiritual realm is sublimely and knowingly Infinite! dominated several, of what are today, European countries. The Oak Tree is struck by Lightning more than any other tree. to have received Enlightenment and Revelation from Divinity. thereby absorbing Divine Illumination, it continues to grow. for the making of staffs and wands. canopies of ancient Oak Trees. it was used in construction of fortifications, battleships and bridges. and security to a home. grown in a sacred grove. of handles. Oak roots were also considered to be magically potent. solemn Ceremonies were carried out. was the central stabilizing location of rule and order. conflict, collapse, treachery and chaos. Tree as their Symbol. Oak leaves are utilized in military insignias. The Oak Tree is the Symbol of choice on many Coats of Arms. is used to create dyes and is also used in the tanning of leather. Leaves: Oak leaves are used to make fine wines. eating Acorns was thought to provide strength and Enlightenment. of Spirit, Mistletoe is considered a spiritual gift from heaven. a very solemn and meticulous Ceremony. considered to be an antidote for all poisons. "The blind eyes of justice see the truth." depicted holding a Sword in her other hand. within the archetype, or portrayal, of Lady Justice. Justice simply allows her scales to pass an impartial judgement. Justice and weighed against the Feather of Maat. The Sword has two blades which enable it to cut in both directions. until it eventually arrives at the Truth. an attempt to confuse the issue which is being weighed. wings, the body of a lion, and the feet of a bull. order is expressed in the Tarot card, The World. an archetype, consisting of these four elements? paintings thousands of years later? which support the Vault of Heaven. one-fourth of a Circle; or one-fourth of the earth's annual Cycle. referred to, astrologically, as The Great Year. at the beginning of this article. constellations are the Four Pillars of that Precessional Age. Gemini and Sagittarius at the Solstices. fire, earth, air, or water. within the branches of The World (or Cosmic) Tree. be ruling, or governing, the new Precessional Age. Alchemical, Hermetic and religious paintings mentioned above. which comes down to us from some ancient race? These four constellations are 90 degrees apart from each other. which will be involved in the upcoming Age of Aquarius. which occurred approximately 10,500 BC! represented by the Sumerian Sphinx? To answer this question, we now turn to the Egyptian Sphinx. of temples, buildings and statues, of the ancient Egyptians. Attention to detail was an ingrained aspect of their culture. the body of a lion and the head of a pharaoh. head of the Sphinx in order to have his features carved in its place. Spring Equinox, occurred around 10,500 BC. modern-day Tarot deck? This is our unanswered enigma. Age of Leo which occurred one-half of a Great Year ago. See also: "The Egyptian Sphinx"
Serpent In The Sky by John Anthony West. and pursue that flighty temptress, adventure." "A wizard is never late. Nor is he early. Wizards of the highest order! with the world, its people, and its elements. challenged Arthur. Dumbledore challenged Harry Potter. Gandalf challenged both Bilbo and Frodo Baggins. training and maintaining an Order of elite and virtuous Wizards. had no knowledge of Albus Dumbledore. Albus Dumbledore is constantly operating in the background. that keeps evil magic at bay. each of which held a portion of his dark and powerful soul. the horcurx's in order to weaken the power of Lord Voldermort. from the horcrux would be too much for Dumbledore to bear. made which involves someone very near and dear to us? found in stories of this type. through all of its realms. mystical Tom Bombadil, and yes, even among Hobbits. has the power to simply rid the world of such foolishness. only a master of mythology can. where he battles the balrog on the Bridge of Khazad-dum. reborn as Gandalf the White. The color gray is a combination of the colors black and white. transformation and power in the physical realm. a much higher order of Wizard: Gandalf the White. Just as Dumbledore had his Snape, Gandalf had his Saruman. However, as Dumbledore knew his adversary Gandalf did not. Gandalf the White, could be deceived by anything or anyone. forger and controlling master of the Rings of Power. make him, or her, so. desperately Hope they should be.